The past of Japan includes the history of the islands of the country and its inhabitants, covering the eras from the ancient times up to the formation of the modern Japanese state. From the Upper Paleolithic Era the rich ecosystem of the Japanese archipelago favored the growth and development of human civilization, with the oldest findings that have been discovered to belong in the Jomon period, around 12,000 BC. The first permanent capital of Japan was founded in Nara in 710 BC, which became the center of religion and culture, while tradition brings the Empire of Japan to be founded in 660 BC by Emperor Jimmu. The ancient Japanese were hunters and farmers, who when they began to cultivate rice (not before the late Neolithic period), the surplus accumulated as wealth and thus a hierarchical social structure began to appear. That made the protection of wealth and class necessary. Since the 9th century some kind of professional warriors began to appear because of conflicts between different groups. Although it has been established to call samurai all the warriors of the Japanese history, this is not accurate, as is also not entirely accurate to say that Japan once was ruled by the samurai class. The samurai caste was one of the layers in the hierarchy of Bushi, i.e. the warriors who came from aristocratic families. The structure of the Bushi’class was based on social status, the fighting skills and the favor of Shogun (military commander). So not all the Japanese warriors were Bushi. Bushi started ruling Japan, as the political power of the Emperor weakened and when Minamoto Yoritomo (1147-1199) founded the first shogunate, the Bakufu (tent office) of Kamakura (1185 or 1192-1333). During the Middle Ages, the sword and the spear replaced the bow and arrow, as privileged weapons on the battlefield. Then the unarmed combat methods were a complementary knowledge and not basic, since the warriors had weapons and armors. The teaching of unarmed techniques was based more on the scenario in which the warrior was losing his main weapons and should be able to defend himself and maybe use a secondary weapon. Punches or kicks were not efficacious against armors, so immobilization, throw and neutralization techniques formed those unarmed combat styles. During the Edo or Tokugawa period (1600-1867), the concept of Budo (The Way of Martial Arts) began to grow. Then Japan was isolated from the other nations and in relative peace, while Neo-Confucianism was established as a major religious and ethical movement, which promoted the ideas of duty and loyalty. So in this environment, Bushi started becoming government officials and technocrats and also they started receiving education and cultivated the fine arts. At the same time, and because of the peace, their experience on the battlefield was reduced. The isolation of Japan contributed to some extent to the late development of weapons. That, combined with the stratification of society led to great expertise and a huge variety of martial styles and schools. So the Japanese martial arts can be broadly divided into Koryu (ancient schools) and Gendai Budo (modern martial arts) based on whether they existed before the Meiji Restoration (See below). Today the term Japanese martial arts encompasses a wide variety of armed and unarmed martial systems, which come from Japan, with at least three words (Bujutsu, Bugei and Budo) used to describe them and with the use of Budo to be the most modern. Budo suggests a lifestyle that includes physical, mental and moral exercise aimed for self- improvement. The concept of Budo was developed mainly by people who did not fight in the battlefields, but they intended to unify the spiritual with the physical exercise, based on the integration of daily activities of that era with the ideals of the past. Thus the foundations of a unique perception and reflection on life were set. In 1868, Bakufu collapsed and the imperial institution regained political power. That era is known as the Meiji Restoration, in which a series of events led to the restoration of power to the Emperor Meiji (1852-1912), who led an era of rapid changes in Japan. The country was modernized from a closed, feudal society into a modern world power, based on its industrial revolution. With technology, ideas and customs of the West infiltrating into the Japanese lifestyle, in the late 19th century, Japan came out from the isolation and became a modern country, which wanted to be recognized as an equal nation among western powerful countries and not degenerate into a colony like other nations of the wider geographical area. To accomplish this, building a strong economy, forming a modern army and modernizing the structures came into immediate priority. However, the dynamic enforcement of modernization strengthened the wave of patriotism. Maintaining the tradition, and the martial arts as a part of it, while the country was modernized, became the social counterweight and central political will for the role that Japan wanted to play in the world, as a strong nation. The arts of Budo, very early, were not created as sports or any other social or recreational activity. The unarmed martial arts began to evolve for self-defense, police arrests or controversies under the everyday circumstances, while the social rights of weapons possession and use was limited, following the decline of feudal system and the fall of the warriors caste. Jujutsu (unarmed martial techniques) was coined (not earlier than the 17th century) as a term and as a concept, based on the Japanese armed combat systems. The sword, the soul and symbol of Japan and its arts have been regarded as the core of jujutsu’s configuration. The willingness of Japan to be independent and strong implemented by adopting the role of protecting power over the countries of the East against western colonialism. But soon due to the deteriorating international political and economic situation, some movements turned to ultra nationalism, militarism and imperialism and once they prevailed, led the country 's involvement in the WWII. As a product of Japanese culture, throughout the history martial arts were involved in the political, military, social and religious past of the country. Practicing martial arts has been the means of physical training, moral education and the cultural and national awareness of Japanese citizens and especially the young people. During the years that followed the end of World War II, the Allied occupation forces restricted the exercise of martial arts, prohibiting the practice mainly in schools and universities, considering Budo among the elements that favored the rise of militarism. The gradual revival of massive practice of Japanese martial arts began in 1947, either in the form of self-defense systems for law enforcement, or as a sporting, recreational or cultural activities. So since the 50s and 60s the frenetic spread of the Japanese martial arts around the world starts. Morihei Ueshiba, the son of Yoroku Ueshiba (1844-1920) and Yuki Itogawa (1850-1922), was born on December 14, 1883, in Tanabe City, Wakayama Prefecture. The history of Kumano’s region goes back to the prehistoric ages and its religious role predated the role that all the rest of the religious movements played in shaping the Japanese society and culture. In Kumano the religious cults formed a unique blend, which make it, even today, to be considered as a healing place. Morihei often remarked: “I will always be a son of Kumano”. Yoroku and Yuki likely got married around the late 1860ies. Morihei was their forth child and first son. Yoroku was a wealthy landowner and a member of the local political scene from 1892 to 1910. He was not academically educated, but he had a reputation of a strong man and he was a martial arts enthusiast. Yuki was a religious woman. During her pregnancy, she had a number of visionary dreams and after Morihei’s birth it was said of him: “This child is a gift of the gods of Kumano.” Morihei himself had a deep religious belief and displayed an extraordinary sensitivity, since his childhood. Both his parents were coming from families with tradition in martial arts, however Morihei looked physically weak as a child. He was very clever though and inclined to the mathematics. With his school education, his physical education started as well with wrestling, swimming and spear fishing. At the age of 19, Morihei sought his fortune as a merchant in Tokyo, where after working for a time for some relatives, he started his own business with a stationery shop, called Ueshiba Shokai. However, he fell ill the following year and after turning his business over his employees he returned to Tanabe. In Tokyo, Morihei was for first time exposed to the classical Japanese martial arts, since for a short period he trained in Tenshin Shin’yo ryu at the dojo of Tokusaburo Tozawa (1848-1912). Back in Tanabe, Morihei recovered from his illness and got married to Hatsu Itogawa (1881-1969), who was distantly related to a branch of the feudal clan of lords and warriors of Takeda. Morihei and Hatsu knew each other since they were kids as they were distant relatives. The same year, in 1903, Morihei joined the army and served in the 37th Military Regiment, stationed in Osaka. Soon he attracted the attention of his senior officers because of his outstanding strength and endurance. 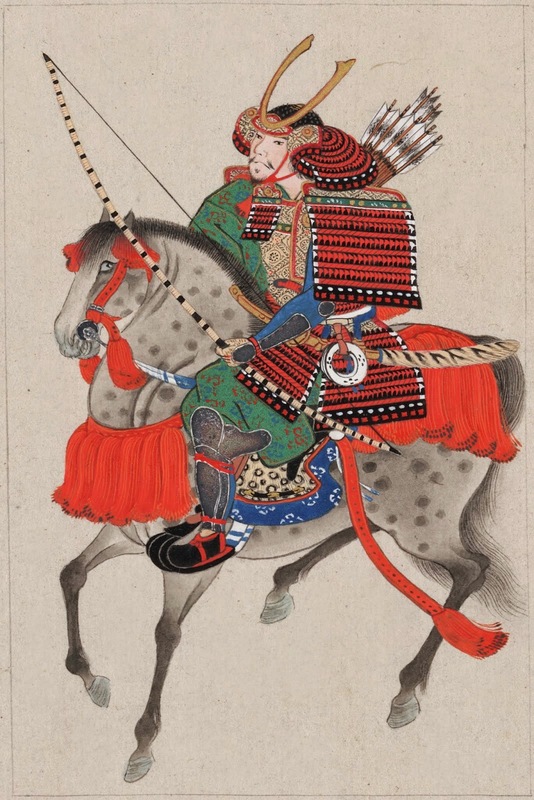 Along with his military training, during his days off, Morihei studied classical Japanese martial arts and he also continued his religious practices. It was at that time that he formally enrolled in the famous school of Masakatsu Nakai (1891-1908), where he systematically received his first instruction in martial arts, which included empty hand techniques, and techniques with sword, staff, spear, even techniques wearing old armors. Morihei continued his study under Nakai even after he was discharged from the army in 1906. During his military service the Russo-Japanese war broke out and Morihei was sent in Manchuria. In the army he gained the title of the “king of the soldiers”, due to his abilities handling the bayonet and his integrity. Later Morihei rejected the option, offered by his seniors to follow a military career, studying at the famous military academy Toyama and after his discharged from the military service he preferred to return to his birthplace and work in his family farm. At that time Japan was undergoing tremendous changes and in Tanabe, Morihei, under the influence of the eccentric scholar Kumagusu Minakata (1867-1941), was involved in several protest movements against the governmental policy. Watching his son troubled and restless, Yoroku constructed a dojo in the family farm and invited the known judo instructor, Kiyoshi Takaki (1894-1972) to teach, hoping that this would channel the nervous energy of Morihei into a productive activity. Following the plan for the development of the remote island of Hokkaido, in 1912 Morihei led more than 80 residents of Tanabe to the wild of Shirataki. The conditions were extremely severe, and the group had to deal with the hard weather, while they had to organize their life with infrastructure and turn the rugged terrain into a cropland. Thanks to the rise of the logging, Shirataki began evolving rapidly, but in 1917 the village was completely destroyed by a fire and Morihei as an elected community board member, took a leading role in the reconstructions. In February 1915, Morihei encountered the legendary Sokaku Takeda (1859-1943), Grand Master of Daito ryu Jujutsu, at a traditional inn, in Engaru of Hokkaido. So Morihei along with his responsibilities as a leader of Shirataki he started practicing hard. His contact with Sokaku was not continuous, but each training session was extremely demanding. Morihei was very talented and committed and later he received a teaching license by Sokaku. During all his life, Morihei respected Sokaku Takeda as the man who had opened his eyes to the true meaning of budo. However, what Morihei was searching went beyond the lethal techniques and victory at all costs. He looked for something deeper and more humane. At that moment of his life, his desire not to stick at the mere knowledge of martial techniques, but to deepen into the human spirituality, marked the begging of Aikido’s development. In November 1919, Morihei received a telegram informing him that his father was on his deathbed. Then, he turned all his property to his master, Sokaku and left Hokkaido for ever. On the train of return, he heard the other passengers talking about some teacher, the leader of the religious sect Omoto-kyo, who had a reputation of a healer. Morihei quickly went to Ayabe, near Kyoto, in order to visit the healer, an eccentric shaman named Onisaburo Deguchi (1871-1948) and ask him to pray for his father. Yoroku passed away in 1920 and Morihei was very depressed. Attracted by the teachings of Onisaburo, Morihei decided to return and live with his family at the Omoto headquarters in Ayabe. With Onisaburo’s encouragement he started teaching martial arts at a dojo, the Ueshiba Juku (Ueshiba Academy), which was built in Omoto’s compound, marking the formal beginning of his career as a martial arts instructor. It was about 1922, when Morihei started calling his art Aiki Bujutsu, adapting the term Aiki in the sense of harmony between self and others. Other names were used as well for Morihei’s system, such as Ueshiba ryu Aiki Bujutsu. 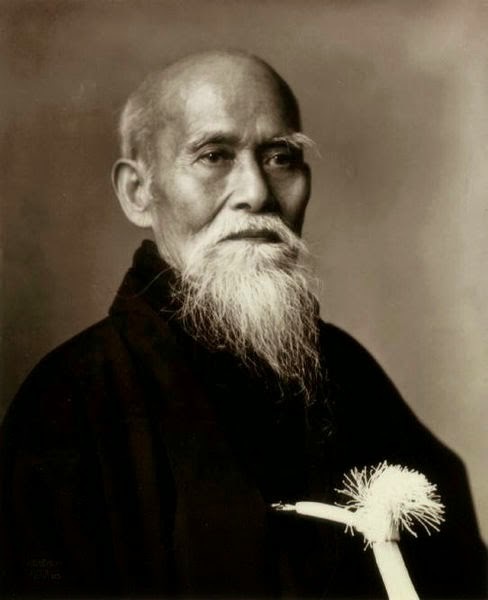 The term Aiki can be traced to several old Japanese martial traditions, but it was Morihei Ueshiba who renewed the concept of Aiki and changed it. Thus he has remained in the world history of martial arts as the only Master of Aiki. In 1924, Morihei and a group of people, accompanied Onisaburo on a trip, which was called The Great Mongolian Adventure. That trip was about a religious quest to the Mongolian wilds in order to discover a holy place, where Onisaburo would create a new world kingdom based on religious foundations. However Onisaburo was involved into the local politics and as a consequence they were arrested, sentenced to death, rescued the very last moment by the Japanese authorities and repatriated. That adventure changed Morihei, who resumed his martial arts teaching and training, relating the practice of martial arts with farming, a connection he supported all of his life. In addition he developed a unique way of personal training in martial arts. So in 1925 something very important happened in his life. Morihei faced the challenge of a swordsman, a military officer of the Naval Academy. During the encounter, Morihei was perceiving each attack of the wooden sword as a light beam and thus he was easily avoiding every cut. After the swordsman retreated, accepting his total defeat, Morihei had a mystical enlightenment experience. He felt embraced by a mist of golden light which was descended from heaven and welling up from the earth. Morihei felt himself transformed into a golden being, at one with the universe. “I was enlightened all at once. I no longer needed to contend for victory. I perceived that love embraces all things, that love gave all things life. For the first time, I saw the unity between the spirit, heart and body of self and others, and how to utilize that function to create a new world. True victory is victory over oneself. To win without fighting- that is true victory, a victory over oneself, an instantaneous and swift victory, a triumph of the spirit in harmony with self and others, humankind and the divine, at one with the universe, and a victory based on unlimited love. In other words, I transcended the individual domain of winning and losing and attained the ultimate victory of Takemusu (Creative and Valorous Living). That is the level of attainment we all must strive for in our martial path”. This spirit is the special characteristic and essence of Aikido. In 1927, Morihei accepted the invitation of the influential Admilar Isamu Takeshita (1869-1949) to settle and teach in Tokyo, so the base of Morihei was transferred to the capital. At the beginning Morihei taught in several temporarily places, while he also accepted the visit of Jigoro Kano (1860-1938), the Founder of Kodokan Judo, who was impressed by his demonstration. Thus several student of Kodokan Institute were sent to the school of Morihei Ueshiba to study. In 1931, the school of Morihei, the Kobukan Dojo, was built in the Wakamatsu section of Tokyo and the newly established Kobukai Foundation, which received the official governmental approval in 1940, covered its activities. The first generation of students in Kobukan were mainly high ranking military officers, aristocrats, wealthy businessmen and people connected to the Omoto-kyo, given the fact that Morihei was reluctant to teach the general public, since he was always concerned about the misuse of his techniques. 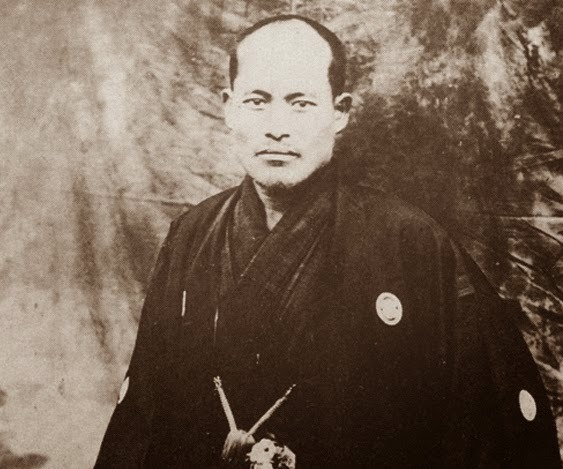 The school of Morihei gained the fame of “dojo of hell” because of the intense practice, while his personal reputation as a teacher was continuously spreading. Around 1931 Sokaku Takeda visited Kobukan, however due to Sokaku’s excessive demands, their relationships had started becoming distant. By the mid '30s, Morihei Ueshiba had become very popular, teaching not only at Kobukan Dojo, but also in other locations. In 1939, he was invited in Manchuria, where he participated in a public martial demonstration, during which he faced and immobilized, with one finger, a former sumo wrestler. His visits in China and Manchuria continued even after Japan’s involvement to the Second World War. In 1942 the name Aikido was officially adapted, while Morihei chose to settle in Iwama, Ibaraki Prefecture with his wife, appointing his son, Kisshomaru Ueshiba Head Instructor of the Tokyo Dojo. In 1943 the Aiki Shrine was erected in Iwama, Ibaraki Prefecture and in 1945 the Ibaraki Dojo next to the Aiki Shrine was completed. Kisshomaru became Head in young age with the words of his father: “I will leave it up to you to promote Aikido in society; I want to devote the rest of my life to further training.” In this way, Kisshomaru became responsible for the organization and promotion of Aikido, while Morihei after suspending his teaching in Tokyo, spent his time in Iwama perfecting his technique and spirit. The role of Doshu Kisshomaru Ueshiba (1921-1999) in the history of Aikido is of great importance for the entire world community of Aikido. Kisshomaru was born at the headquarters of Omoto, in Ayabe, on June 27, 1921. He moved with his family in Tokyo in 1927 where he completed most of his formal education. Being born within the budo environment, and growing up next to Morihei, he accompanied his father to his teaching responsibilities as an uke. The vision of Kisshomaru Ueshiba was to spread Aikido, especially its spiritual aspects, as a central part of the new Japanese generation’s daily life. That generation meant to be primarily responsible for Japan’s post-war reconstruction. Additionally, the Second Doshu had the strong belief that Japanese culture had valuable things to offer the other nations, especially those who had won the Second World War. He viewed his father’s creation as an excellent part of the Japanese culture, being a martial art without fighting and with a positive philosophy towards the opponent. When the Founder settled in Iwama, he entrusted his son the operation of Kobukan Dojo in Tokyo. During the Second World War, Kobukan Dojo was nearly empty of students and the building was in danger due to the bombings of Tokyo. Still a student of Waseda University, Kisshomaru succeeded to save it from the fires and after the end of the war, he allowed many homeless people to settle there. Then Kisshomaru Ueshiba was sharing his time between Tokyo and Iwama, where the administration of Aikido was relocated. He graduated from the Faculty of Economics and Political Science of Waseda University in 1946. It was in 1947 when the Kobukai Foundation was disbanded and the Aikikai Foundation was established, receiving formal approval in 1948. Aikikai is the parent organization of Aikido and the original organization of the Founder. In 1949 the regular program of Hombu was resumed, organized by Kisshomaru. During the early 50ies Kisshomaru Ueshiba having a family and several uchi-deshi to take care, was employed full-time, while in the morning and the evening, he was holding Aikido classes. He quitted his job in 1955 in order to thoroughly concentrate on Aikido’s development. Thus Aikido started spreading in companies, schools, Universities, self defense forces and abroad, while Morihei started travelling again throughout Japan, teaching and lecturing. At the same time demonstrations started being organized in several locations around the country, with one of the most known to be that on the roof of Takashimaya mall in Nihonbashi of Tokyo. However in 1960, the Aikikai Foundation sponsored the first open to the general public Aikido demonstration, which was established and continues until today as the annual All Japan Aikido Demonstration with thousands of participants and viewers from all around the world and with large national media covering it. So Aikido gained wide recognition. 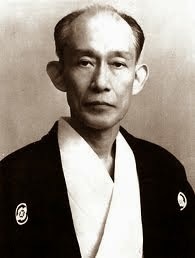 In 1961, Morihei was invited to Hawaii in order to teach during the opening ceremony of Honolulu’s central dojo. It was also during 1961 when the All-Japan Student Aikido Federation was established. In 1968, the old wooden Hombu Dojo was replaced by a new five-story building and in January 1969, O-Sensei gave his last demonstration at Kagami Biraki. The Founder of Aikido, O-Sensei Morihei Ueshiba passed away on April 26, 1969. The vision of O-Sensei for Aikido as a Way of Peace and Love enjoys the recognition and appreciation worldwide. After his death, Kisshomaru Ueshiba was appointed Second Aikido Doshu and continued his work promoting Aikido in Japan and abroad. 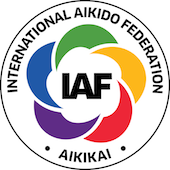 In November 1975, a meeting was held in Madrid, Spain during which the bases were set for the establishment of an international Aikido organization and so in 1976, the International Aikido Federation (IAF) was founded. It was also the same year that the All Japan Aikido Association was established making 1976 a milestone for the development of the art globally. Second Doshu, like O-Sensei, received many medals and awards from the Imperial House, the Japanese state and foundations from all around the world. Doshu Kisshomaru Ueshiba passed away on January 4, 1999. After his death he received a special certificate from the Prime Minister of Japan in recognition of his life-work. During the history of the art different people contributed to the development and spread of Aikido in Japan and abroad, but it was Doshu Kisshomaru Ueshiba who led the theorizing, the structural organization and the dissemination of O-Sensei’s teaching. Moriteru Ueshiba, the son of Kisshomaru Ueshiba and the grandson of the Founder succeeded his father and became the leader of Aikido globally. Present Aikido Doshu Ueshiba Moriteru was born in 1951 and grew up in an environment where Aikido was everywhere. As a child, Doshu used to spend time with his family and the uchideshi (living-in students). He started participating in Aikido classes when he was 6 years old along with all the other uchideshi and students of Hombu. Since there are no any secret teachings in Aikido transmitted from Doshu to Doshu, he never had any special or private class from O-Sensei or his father, Kisshomaru. It was from both, the Founder and the Second Doshu that the major influence came upon him. Doshu Moriteru Ueshiba was 18 years old, when O-Sensei passed away in 1969. Beginning with the women classes at Hombu, Doshu started instructing Aikido around 1974 and in 1975 he travelled abroad for first time, accompanying his father in Europe. 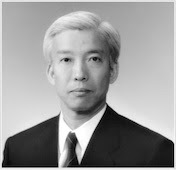 In 1976, he graduated from the Faculty of Economics of Meiji Gakuin University. It was around 1979, when his father, Kisshomaru, fell ill for a while that Moriteru Ueshiba started pursuing his teaching duties with an eye to his future as the next Aikido Doshu. 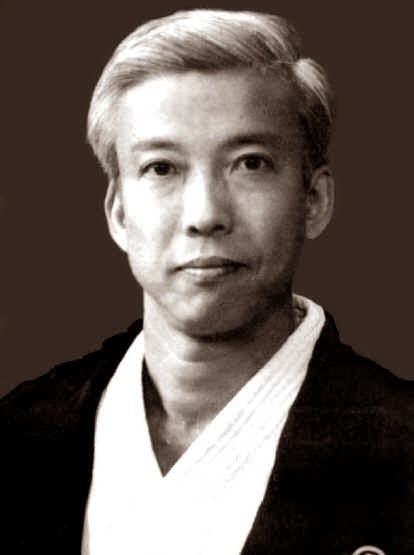 In 1980, he travelled to the US and in 1986, Doshu Moriteru became a Master of Hombu Dojo and after ten years, in 1996, he became General Director of Hombu and Chairman of the Aikikai Foundation. He assumed the title of Aikido Doshu in 1999, after his father passed away. In the same year, Doshu Moriteru became Permanent Chairman of the International Aikido Federation. In 2012, he was awarded the Medal of Honor from the Polytechnic University of Valencia and in 2013 he received the Medal with Blue Ribbon from the Emperor and the Japanese Government. In 1981 the son of the present Doshu, Mitsuteru Ueshibawas born. Waka-Sensei Mitsuteru Ueshiba is Deputy Head of the Headquarters Dojo in Tokyo. As such, Waka Sensei follows an intensive program of training and teaching aikido. He gives many overseas seminars. Waka Sensei was the Aikido Ambassador at the World Combat Games 2013 in St. Petersburg. According to the tradition, Waka-Sensei is expected to succeed his father and become the Fourth Aikido Doshu of the world Aikido community. In 2002, the All-Japan High School Aikido Federation is established on May 25th and in August the All-Japan High School Aikido Demonstration is held at the Tokyo Budokan. 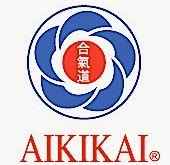 On April of 2012, the Aikikai Foundation registers as a public-interest incorporated foundation.